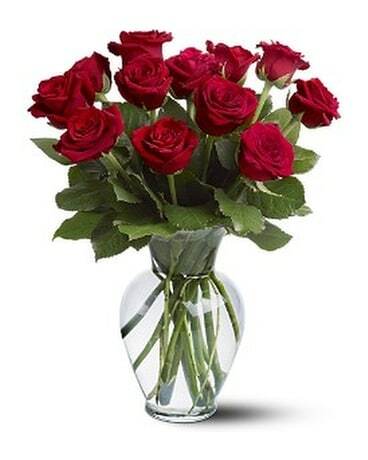 Little Love Puppy in Wichita KS - The Flower Factory, Inc.
Our precious pup is the pick of the Valentine’s litter! 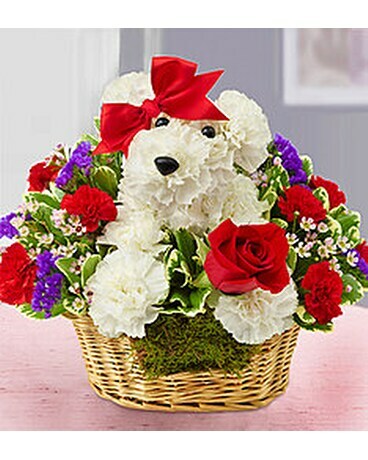 Crafted from white carnations, this canine cutie arrives in a basket, holding a single romantic red rose and finished off with a sweet red bow. Whether you’re looking to impress a new crush or surprise a longtime love, our truly original pooch is sure to get you a smooch!